Do you sometimes also have those moments that you may have difficulty falling asleep and just keep on turning and turning until you become completely mad? Or that you’ve had a very bad nightmare which woke you up with fear? There are more of those annoying moments that causes you energy, because poor sleep also means that you are often tired and lethargic during the day, you achieve less well at work or school and you get ill more easily. 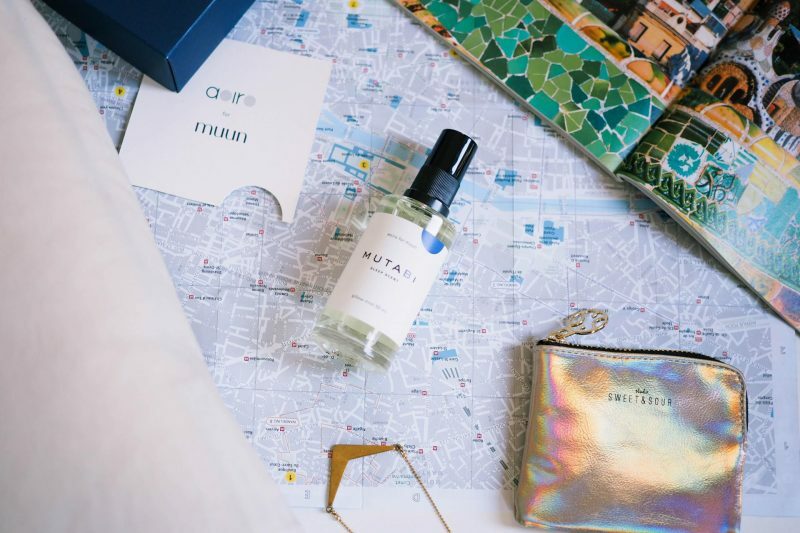 Fortunately, changes can be there very soon, because with the Mutabi collection of Berlin’s brand Muun you’ll experience a wonderful journey into the unknown. 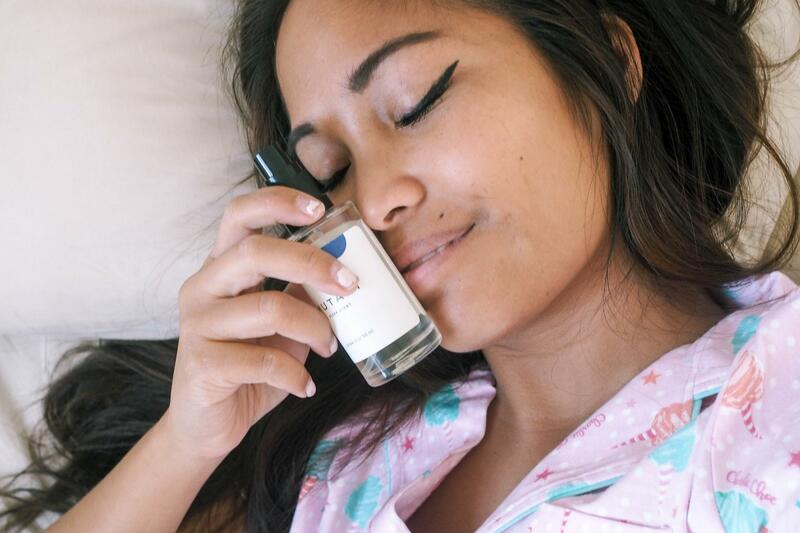 Muun was launched since the beginning of 2015 and offering beautiful sleep products. For example, they introduce an adaptable modular mattress, a pillow or quilt. The award-winning products (Red Dot Design Award and German Design Award) are made in Germany. So Muun designed with the Japanese-Austrian perfume design Studio Aorio, the Mutabi fragrance collection. They derived the name from the Japanese words Mu, means dream and tabi means travel. The collection consists of a candle, pillow mist and a wooden diffuser made from natural ingredients, such as grapefruit, black pepper, cypress and a touch of incense that directly call a sense of weightlessness and release. It provides the vetiver (a type of grass known for its calming and soothing effect), salvia and violet for harmony and peace in the bedroom. 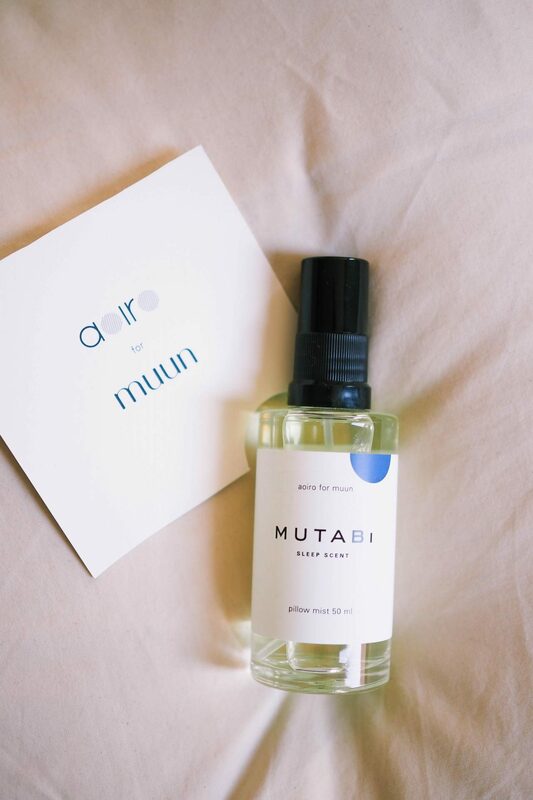 Mutabi brings contrasting fragrance notes in harmony, which will make you fall asleep calmly and quietly wakes you up again. Because of the treatment of my left shoulder, I sleep badly lately. After a long time of restless sleep, I tried the pillow mist. After shaking the bottle I sprayed my whole pillow. That goes as well for my boyfriend’s pillow 😉 In the beginning, the smell is quite strong, but once you get your head on the pillow, it gives you a zen feeling very soon. I was ready to make a great trip in my pajama from Charlie Choe to a beautiful destination. And you know what? There were no obstacles; I was able to sleep that night very well for the first time, after a long time. My boyfriend is experiencing this and ever since this time, we use the pillow mist every day. We both notice that we are well rested much more, have energy and do not have nightmares! Now that is a fresh start of the day!